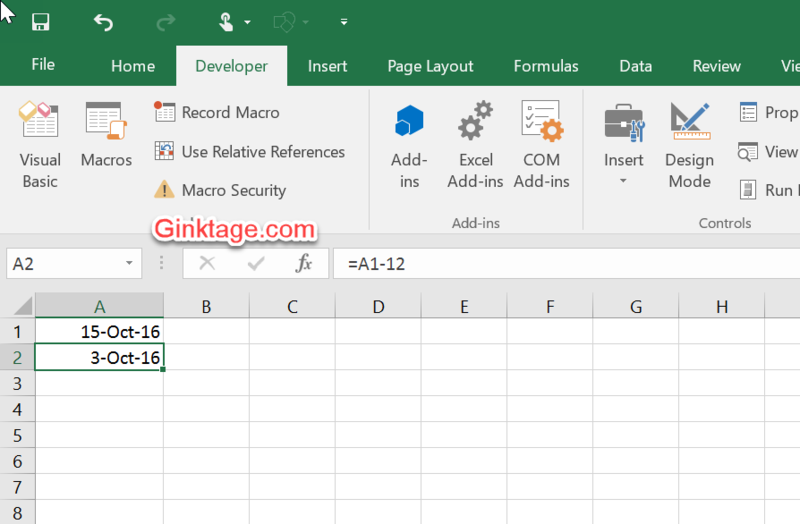 How to add or subtract days in Microsoft Excel ? 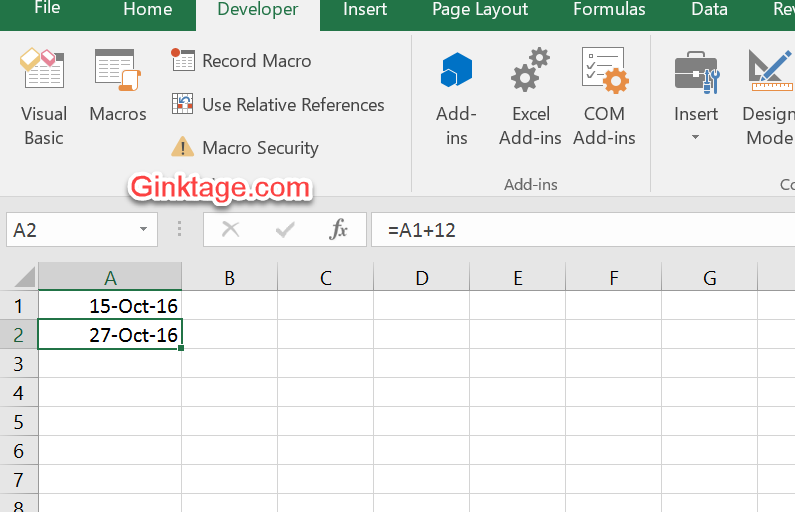 In Microsoft Excel 2016 , you can easily add or subtract days directly by using the + or – operator. Assume that that current date is 15 October, 2016 and is entered in the cell A1 and you want to add 12 days to it. Here’s the formula to do it. To subtract the number of days from the current date entered in the cell A1 , here’s the formula.